Home HeadQuarters offers first mortgages and Down Payment & Closing Cost Assistance to qualified first-time buyers looking to purchase a home in Central New York. The first mortgage offers a low 2% minimum down payment, a competitive, fixed interest rate and no PMI! The mortgage currently has a 5.75% interest rate and is payable over 25 years. Borrower must enroll in Auto-Pay (where payments are automatically deducted from your bank account). If you are a first-time homebuyer, you must complete Homebuyer Education Course through the HomeOwnership Center at Home HeadQuarters. You must plan to occupy and live in the home as your primary residence. Home HeadQuarters offers loans up to $4,000 to help qualified, first-time buyers cover closing costs for a home in the City of Syracuse and Central New York. The program offers both payback and deferred loans (no payback required) depending on buyer eligibility. The deferred loan is available on a first come, first served basis and may be unavailable due to funding allocations. Deferred Loans: Eligible buyers may receive up to $4,000 as a deferred loan (no payback) by committing to live in the purchased home for at least five (5) years. Payback Loans: Eligible buyers may borrow up to $4,000 with 3% interest, payable over five (5) years. Your new home must be located in: Syracuse, or the counties of Onondaga, Oswego, Cayuga, Cortland, Madison, or Jefferson. You must complete the Homebuyer Education Course through the HomeOwnership Center at Home HeadQuarters. You must have a signed purchase offer. You must provide at least $500 of your own funds toward the purchase of the home. Your first mortgage must originate with Home HeadQuarters, a bank, mortgage company or credit union. You must purchase a home within the City of Syracuse . You must fall below 80% of HUD median income guidelines (based on family size). Your cash or cash-equivalent assets not used towards the purchase of the home cannot exceed $7,500. The purchase price of the single or two-family home cannot exceed $120,000. Home HeadQuarters is pleased to launch the Lease-Purchase Program created through support from the Alliance for Economic Inclusion with funds from the Upstate Revitalization Initiative. The program makes homes available for rent by individuals and families who are interested in becoming homeowners, but need a little more time to prepare. Tenants must meet eligibility requirements, including income limits, agree to work with Home HeadQuarters’ HomeOwnership Center to complete home buyer education, and work with a certified housing counselor to establish a budget, correct any credit issues, and become mortgage ready within three years. In return, a portion of the tenant’s monthly rent is set aside to be used toward down payment and closing cost expenses when they purchase the home they have been living in and renting. Working together, tenants can realize their goal of home ownership at rates they can afford long-term. Properties in the Lease-Purchase Program are managed by affiliate CNY AFFORDABLE REALTY. Please visit their website to see homes currently available and print an application. Home HeadQuarters’ Lease-Purchase Program is also made possible through the support of Onondaga County. When Crystal Otero found herself sleeping at a homeless shelter with her kids four years ago, she told herself that things were going to change. 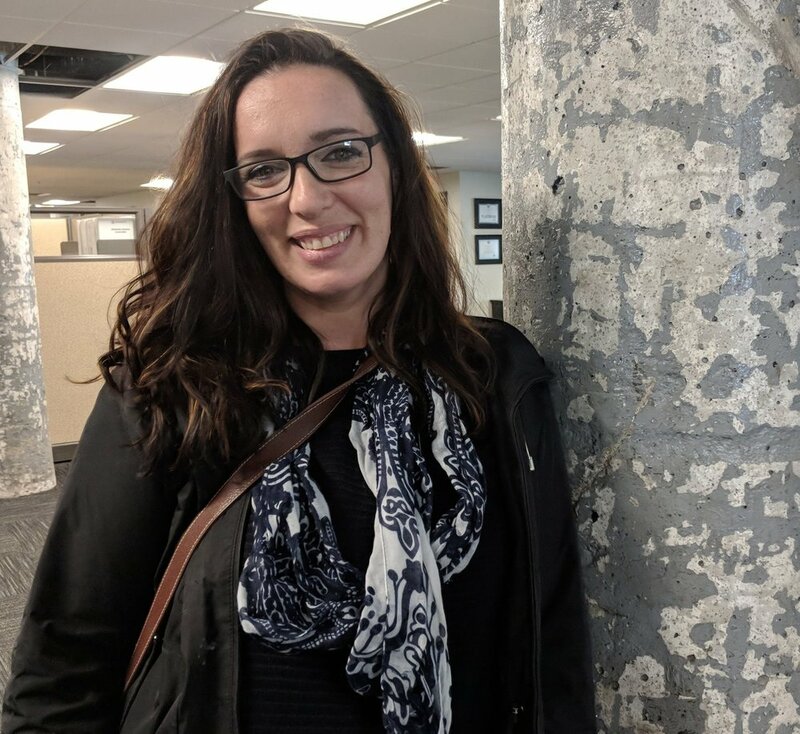 She enrolled in a graduate program to ultimately get a better job, moved to Syracuse for a better cost of living and signed up for HomeBuyer Education at Home HeadQuarters. While she wanted to become a homeowner immediately, HHQ's housing counseling and first mortgage lending staff recommended she take time to work on her credit. Countless phone calls and many sleepless nights later, Crystal is now the proud homeowner of a three bedroom, 2-car garage, fenced-in backyard home in Syracuse’s northern suburbs. "It was hard, especially the waiting, but it was all worth it. Thank you Home HeadQuarters! I have a yard!" To get started on your own homeownership path, sign up for a free HomeBuyer Orientation or check out the 2019 schedule of HomeBuyer Classes, visit HERE!